Iranian vice president Eshaq Jahangiri acknowledged on Tuesday that U.S. sanctions would hurt the economy but promised to “sell as much oil as we can” and protect its banking system. Jahangiri said Washington was trying to stop Iran’s petrochemical, steel and copper exports, and to disrupt its ports and shipping services. 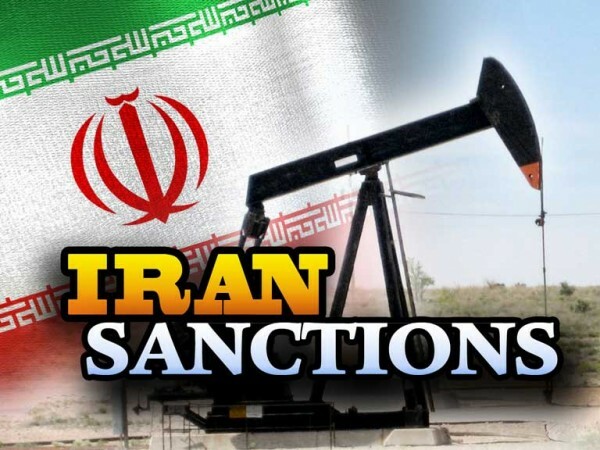 “America seeks to reduce Iran’s oil sales, our vital source of income, to zero,” he said, according to Fars news agency. President Donald Trump said in May he would pull the United States out of an international nuclear deal with Iran and reimpose U.S. sanctions. Washington later told countries they must stop buying Iranian oil from Nov. 4 or face financial consequences. The U.S. ambassador to Berlin called on the government of Chancellor Angela Merkel to block an Iranian attempt to withdraw large sums of cash from bank accounts in Germany. Iran’s foreign ministry and the central bank have taken measures to facilitate banking operations despite the U.S. sanctions, Jahangiri said without elaborating. The Iranian oil ministry said last week that it exported 2.2 million barrels per day of crude oil in June. The figure is not significantly lower than exports of 2.4 million bpd in April and in May. European powers still support the 2015 deal, under which Tehran agreed to limit its nuclear development in exchange for international sanctions relief. They say they will do more to encourage their businesses to remain engaged with Iran, though a number of firms have already said they plan to pull out. “We think the Europeans will act in a way to meet the Iranian demands, but we should wait and see,” Jahangiri said. The pressure on Iran came as Washington had launched an “economic war with China and even its allies”, he said, referring to trade tensions between the United States and many of its main trading partners. Jahangiri also accused Washington of trying to use the economic pressure to provoke street protests in Iran. A wave of anti-government demonstrations against economic hardship and alleged corruption engulfed cities across the country in late December and early January. Iran has no choice, 80-90% of Iran’s income comes from oil export. Take that away and Iran is mostly fvcked. Time for that “resistance economy” Khamenei talks about. Everyone except for IRGC and mullahs will suffer.Iran’s dollar is virtually useless paper. It has to “vow” to do that???? Like without US sanctions it wouldn’t try to exactly the same? Iran is truly fvcked at this point. China and Russia will only do so much to save Iran’s economy and dictatorship. Iran, I figure is looking for war with Israel as their holy solution and allah apparently speaks directly to the Ayatoilets, so they know. It is coming, I have no doubt at this point and as close as Iran has placed itself along with all the typical mullah trash talk. We are creating might in Lebanon because we want to fight our enemy from there with all our strength. “The Iranian people pursues the enemy everywhere in the world, and does not allow this country to be in danger,” Salami concluded. The Lebanese people are for sure happy about this bull crap.